To offer travelers a relaxing holiday, we specially designed the following China small group tours from Australia which include return international air tickets, accommodations and a la carte meals. We promise you a supreme travel experience. 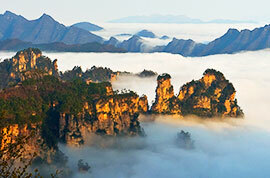 Traditionally, spring and autumn are considered the best time to visit China. To be specific, the best months are September and October. During this period, it's warm and dry in China, with vibrant fall colors. If you are not able to take China tours from Australia in this period, consider May and June with similar weather conditions. To not ruin your trip, you are suggested to avoid scheduling your travel around the National Day holiday of China from October 1 to 7 or around the Chinese New Year. Do Australian citizens need a visa to travel to China? Yes, they need a tourist visa unless they are eligible for the limited visa-free policies of China. Travelers should make the application at the Chinese Visa Application Service Center (CVASC) by submitting a passport, an application form, a recent photo, and round-trip flight tickets and hotel bookings. If you book China tours from Australia all inclusive with us, we can offer you an invitation letter, so that you don't need to submit the flight and hotel bookings. Direct flights to China mainly take off from Melbourne and Sydney. If departing from either of the two cities, you will have more flight choices for China tours from Australia with airfare included. In Perth, Adelaide, Brisbane, Cairns, and Darwin, there are also direct flights to China, but with limited numbers and some of them do not operate daily. Time spent on a one-way flight ranges from 9 to 15 hours. Australian Eastern Standard Time is 2 hours earlier than China. However, from the first Sunday of October to the first Sunday of April, it's 3 hours earlier than China. Since the time difference is not big, you need a little time to recover from the jet lag. Chinese Yuan (CNY) is the official currency in China. Paper money is commonly used and often appears with a face value of 1 Yuan, 5 Yuan, 10 Yuan, 20 Yuan, 50 Yuan, and 100 Yuan. Coins are seldom used, but you may receive them as change when shopping in supermarkets. You can exchange money at airports, bank counters, and some four or five star hotels. 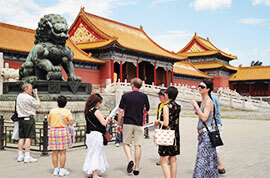 For China tours from Australia, you don't need to take voltage transformer or plug adapter. 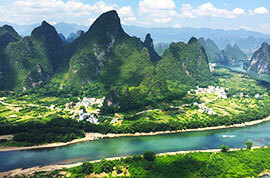 Tap Water is Not Drinkable in China. It's not safe to drink tap water in China without any treatment. Before drinking it, boil the tap water to protect yourself from diarrhea. Bottled mineral water and purified water in supermarkets can be drunk directly without any problem. Many hotels offer their guests a bottle of water each day for free. Your Reservation staff is very good. Everything went very well. The guides speak very good English, and they are knowledgeable and friendly, especially Fred in Xian. I am pleased to write the feedback of the journey which we were very happy with, on behalf of my whole family rather than just myself. The meals were larger than we expected and generally very good. The best meal of all was our first lunch in Beijing. It was a combination of very good food selected by our guide. The other feature meals were also very enjoyable, in particular the home cooked food was a favourite of mine. As a general comment Western Chinese restaurants serve meals with most, if not all the bones removed, so I think some advice to the tour groups about the number of dishes that will contain bones may be helpful. Each guide had good English skills and they were able to explain and help very capably. I think each guide was happy in their work and proud of their country and their heritage. Brian (Beijing) was most in tune with what information we wanted and we really enjoyed being with him and he made us feel very comfortable in his company. Unfortunately Waldner was probably too assertive and with his very extensive knowledge probably went a little too far. Some of his explanations were so complete (and long) that it became confusing and we were unable to recall most of the detail he delivered. I think without realising it he became a little abrupt when he found that not everyone was listening to all his information. All the guides managed to speak English very well and we were understood by them all. All guides knew their local areas extremely well and were very passionate about their own local areas. Of all the guides Brian (Beijing) was most in tune with our group and we all enjoyed some jokes whilst we moved from place to place. He offered just the right amount of information without overwhelming us and readily gave more information as we asked. He was very attentive to the well being of our group and assisted when the Great Wall was difficult as we had different levels of fitness. Our guide in Xian, Carol, was extremely good and made that part of our trip just fantastic. She was enthusiastic, loved to talk about the people, culture, food, history, anything. Her enthusiasm made us as enthusiastic. We thoroughly enjoyed our time with her. Time spent at each spot was good, and we did enjoy the variety of people and nationalities on the tour. The meals were mostly excellent, and we enjoyed the authentic cuisine in each place. Accommodation was outstanding in most places except Xian. Thank you for organizing such a successful trip. 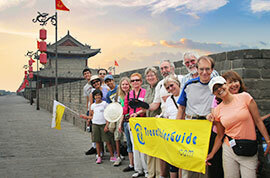 We cannot begin to tell you how much we enjoyed our trip with Travel China Guide! Below are our comments. 1. The meals were always delicious and abundant, but sometimes a bit much, especially since lunch and dinner were timed so close together. We would definitely recommend the Beijing duck! 2. 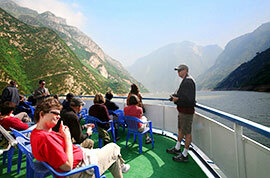 All of our guides were very attentive and conscientious, and their English was very well understood. They made every effort to make sure that we were comfortable and informed. All of the guides were very knowledgeable about the sites we visited, and made our tour a pleasant learning experience. 3. All of the cars we traveled were very clean and comfortable, and the drivers were friendly and highly skilled in dealing with city traffic.